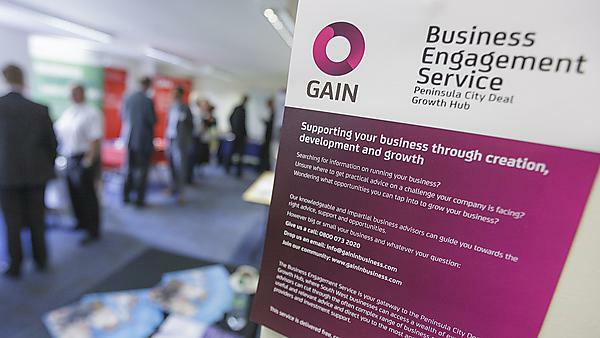 With jobs created across Devon, Cornwall and Somerset, the Growth Acceleration and Investment Network (GAIN) – a partnership between Plymouth University, Plymouth City Council and Plymouth Science Park – is really making its mark on the region. By linking regional businesses with the knowledge, skills and facilities found at the University, GAIN aids the creation, growth and investment in new business ideas in the South West. It does this through providing space for entrepreneurs and growing businesses, internships and placements, world-class research and development facilities, and access to a wide range of business support. Since the first of four awards from the Regional Growth Fund (RGF) was agreed in 2011, around 90 businesses have successfully applied for funding from a total £19 million of RGF money, £10 million of which was distributed in the past year. This in turn has unlocked more than £22 million in private investment. "Securing £10 million to continue our work to boost job creation across the South West is fantastic news, meaning we’re able to support dynamic companies in the region to grow and expand much more quickly than they would otherwise be able to. Growth Fund grants have made a vital difference to ambitious businesses in Devon, Cornwall and Somerset, unlocking millions of pounds in private investment and bringing forward expansion plans which have made a tremendous difference to the region’s economy. This latest award from the RGF means we can keep the momentum going in the South West, and continue the great work of the GAIN Growth Fund to support even more businesses to grow."